The 428i from BMW is a compact coupe that the German luxury and performance auto manufacturer began producing in 2013, and introduced for release around the world as a 2014 model year vehicle. It is part of BMW’s new 4-Series lineup, which, at introduction, consists of just the BMW 428 and the BMW 435. The BMW 428i, along with the rest of the BMW 4-Series, is produced at a BMW assembly facility in Germany. 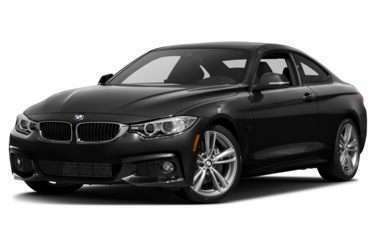 The BMW 428 is available as both a two-door coupe and a two-door convertible, and is available in rear-wheel-drive and xDrive all-wheel-drive configurations, although specific configurations of body styles and xDrive are limited in certain markets around the globe. There are a lot of visual similarities between the 3-Series and the 4-Series, so BMW’s designers have taken care to highlight the differences. The 4-Series sits a couple inches lower than the sedan, and it has a wider wheelbase, which improves drivability as well as appearance. The exterior is also distinguished from the 3-Series by more dramatic lines, flared fenders, and the addition of aerodynamic vents. As the BMW 4-Series is based on the 2012 model year of the 3-Series, the powertrain options are the same between both lineups of cars. The BMW 428i is powered by a turbocharged 2-liter four-cylinder gasoline engine that is rated for 241 horsepower. The engine in the BMW 428i can be paired to a choice of two transmissions, a six-speed manual or an eight-speed automatic, although in the United States, the 428i convertible and both body styles of the 428i xDrive can be configured only with the eight-speed automatic gearbox. The Environmental Protection Agency rated the automatic 428i for fuel economy of 23 miles per gallon city, 35 miles per gallon highway, and 27 miles per gallon combined. The BMW 428i comes equipped with the same features and options as the BMW 435i, except for the 435i’s more powerful engine. A new 428i boasts 17-inch wheels, fog lamps, xenon headlights, eight-way power front seats, a memory settings feature for the driver’s seat, a sunroof, dual-zone automatic climate control, Bluetooth wireless integration, and an audio system featuring a CD player, HD radio, an auxiliary input jack, and USB and iPod connectivity. BMW’s iDrive electronics system is delivered on a 6.5-inch screen mounted in the cabin, which has been updated with a touchpad for finger-swipe control in addition to the manual controls. An array of options packages offer features such as 19-inch wheels, sport seats, a sport suspension, keyless entry and ignition, four-way power lumbar for the front seats, leather upholstery, satellite radio, an 8.8-inch display screen upgrade, a navigation system, a head-up display, the BMW Apps system to ease smartphone app integration, BMW Remote Services to allow smartphones to access some of the car’s functions (such as remote locking and unlocking), an LED headlight upgrade with automatic high beams, heated front seats, a heated steering wheel, a rearview camera, parking sensors in the front and rear, blind spot monitoring, real-time speed limit data, variable-ratio sport steering, more powerful brakes, adaptive cruise control, and an upgraded audio system. Standard safety features include front side and knee airbags, side curtain airbags, anti-lock brakes, traction control, and stability control.